MOSCOW, April 4. /TASS/. 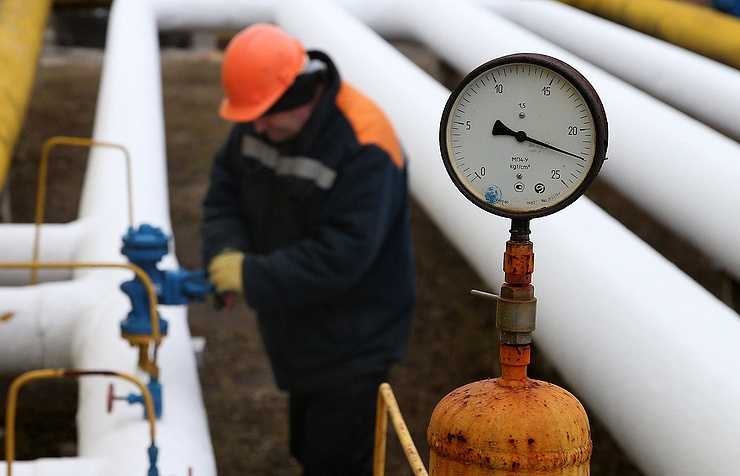 Transit of Russian gas via Ukraine may go down to 10-15 billion cubic meters a year after the Turkish Stream and Nord Stream-2 gas pipelines are commissioned, CEO of Russia’s gas giant Gazprom Alexei Miller said on Tuesday. "We are not saying we will stop entire transit via Ukraine, since there are neighboring countries that border Ukraine on the side of Europe. Naturally, supplies to these European countries will continue via Ukraine. But the volumes of such transit will be much lower, probably, ten to fifteen billion cubic meters a year," he said in an interview with Russia’s TV Channel One. He said that the contract with Ukraine needed to be revised in future. "We will have to go into negotiations. But, anyway, these are not the terms we have in the litigation at the Stockholm court of arbitration," he noted. Gazprom kicked off the construction of the Turkish Stream’s seabed section off the Russian Black Sea shore in May 2017. The Turkish Stream project envisages the construction of a gas pipeline across the Black Sea to Turkey’s European part and further on to the border with Greece. The seabed section is to be 930 kilometers long and the land section will run 180 kilometers into Turkey. The intergovernmental agreement on the Turkish Stream project was signed by Russia and Turkey on October 10, 2016. The first thread is meant for gas supplies to the Turkish market. The second one will be used to supply gas to Southern and Southeastern Europe. Each thread will have a capacity of 15.75 billion cubic meters of gas a year. It is planned to begin gas supplies via this pipeline in late 2019.